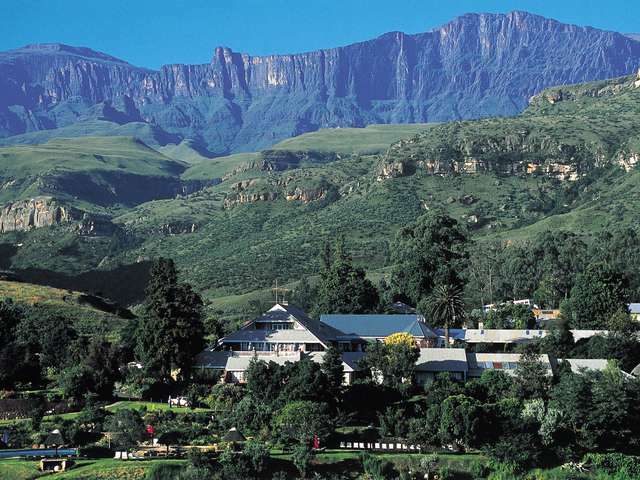 The SpionKop Lodge is set against the backdrop of the majestic Drakensberg mountains, on the Kwazulu-Natal battlefields route. 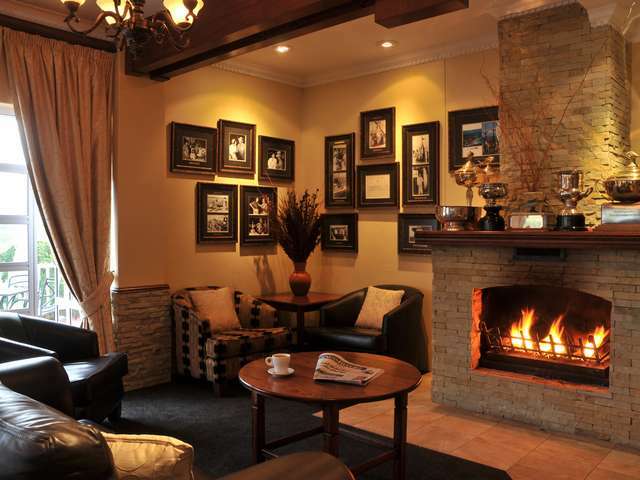 The SpionKop Lodge is situated on a 700 hectare game farm. 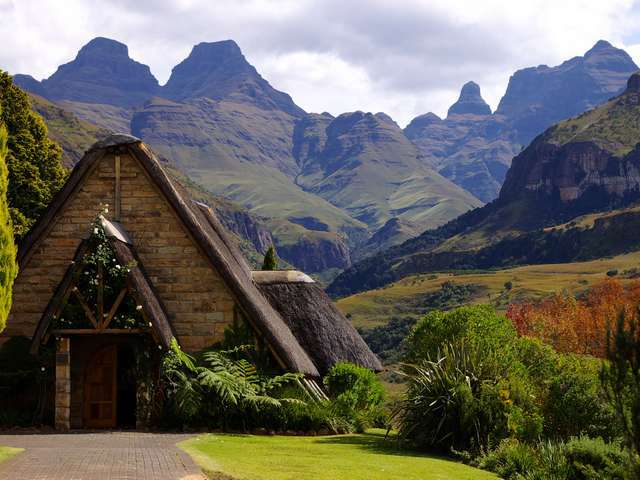 SpionKop Lodge is the perfect base berg exploration, bush, birds, and historic battlefields. 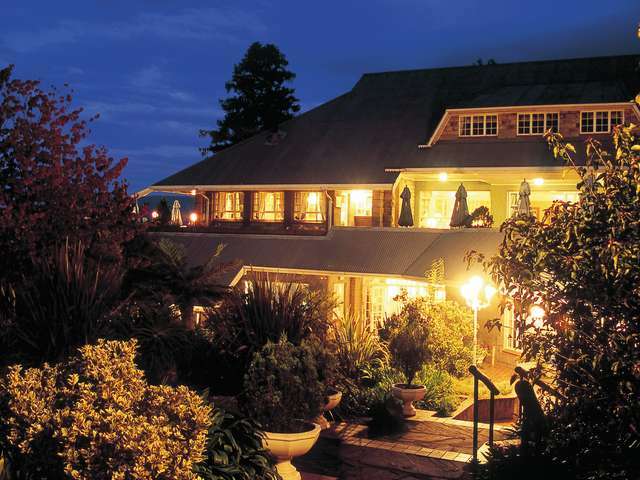 The lodge is known for its expansive landscapes, country comfort and warm hospitality. The beautifully restored farmhouse has a great Natal colonial style reminiscent of the history in the area. The converted barn is now a magnificent dining room with spectacular views. Guests are treated to fine cuisine and excellent service while soaking in the African landscape and battlefields. The chalets are done in a colonial style, each individually furnished to offer luxury en-suite accommodation. There is a choice of either full board or self catering for those wanting to stay at the chalets. The natural rock pool is a great way to cool off after a day of adventuring or enjoy a quiet drink at the pub or spend time in the historic library with its collection of war books. 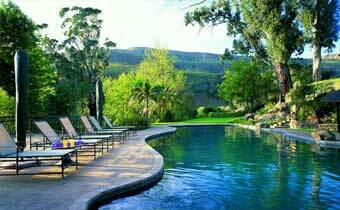 There are many activities on offer at SpionKop Lodge. 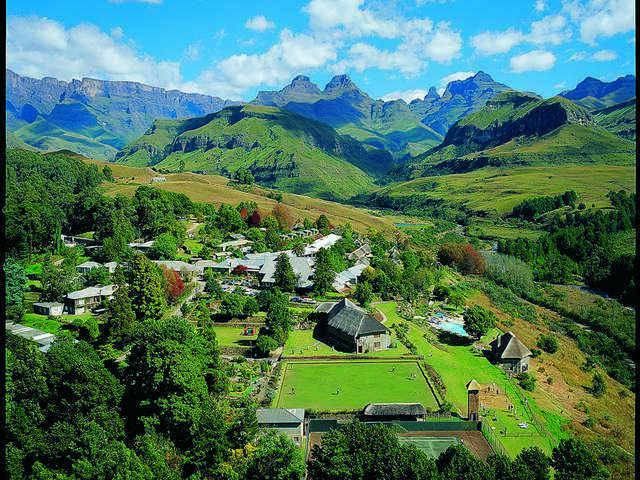 Bird watching from canoes on the Tugela river, game viewing from Safari vehicles or on horseback in the Nature Reserve bordering the farm, sunset cruises on the SpionKop Dam, outrides to overnight stops at Vaalkrans Battle site and the opportunity to relax on one of the most magnificent game farms in the country. 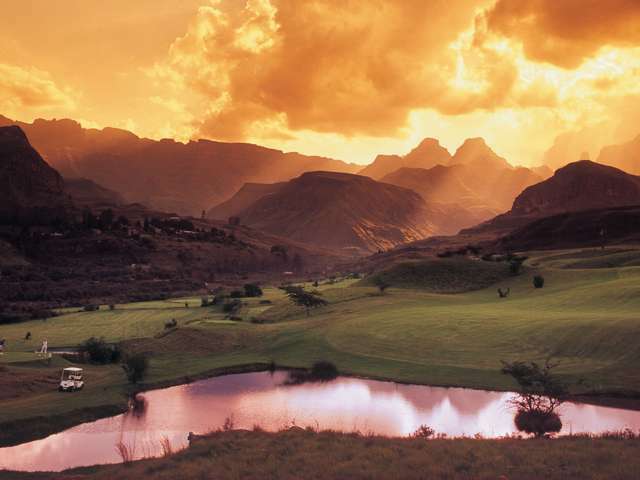 The majestic Drakensberg mountains have been considered one of the must see destinations in south africa, with truly unique landscapes and history. Spionkop game reserve is host to many animals including rhino, giraffe, buffalo and an array of antelope. Sundowner cruises on the SpionKop Dam are the perfect way to unwind and take in the scenery. 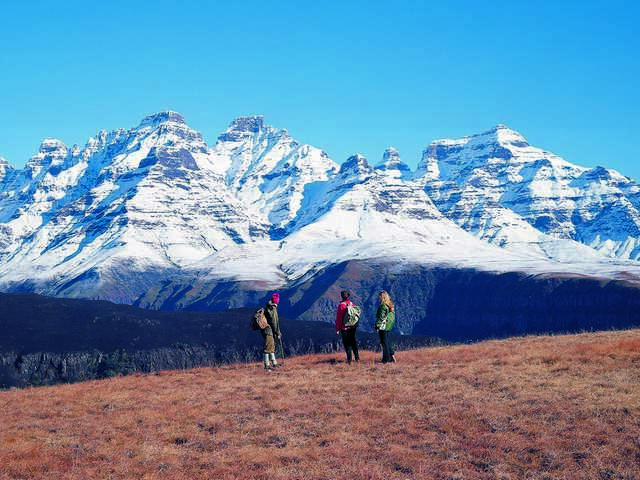 The drakensberg area is a birders paradise with 270 species having been sighted. 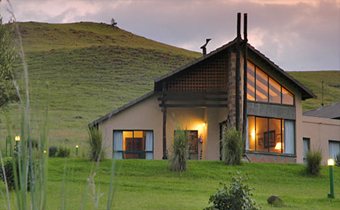 The SpionKop Lodge can organise bird safaris. Hiking, Canoeing and fishing are also on offer. Colenso, Ladysmith, Churchill Capture Site etc. 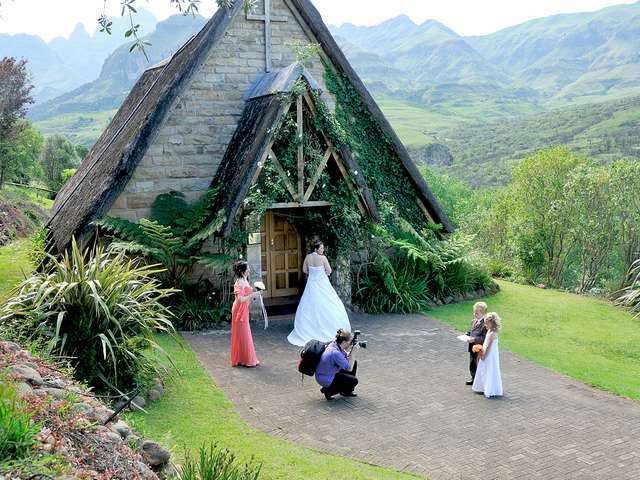 Conferencing and wedding facilities are available. Rates are inclusive of 3 meals per day and accommodation, VAT @ 14%, but excludes TOMSA Levy. 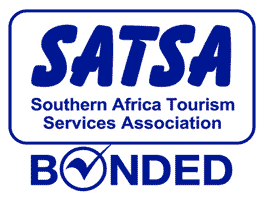 Rates are inclusive of breakfast and accommodation, VAT @ 14%, but excludes TOMSA Levy. Rates are per Cottage per day VAT @ 14%, but excludes TOMSA Levy. Dinner, Bed and Breakfast rates available on request. Children are welcome, rates available on request. Conference and wedding rates and packages available on request. Prices are subject to availability at the time of reservation and are subject to change without notice. Take the N 3 to Johannesburg , Approx. 6 km.after the Ultra -City Garage near Estcourt ,take the Bergville off-ramp on the left . At the top of the off-ramp go left to Bergville /Winterton . 22km. Travel through Winterton and about 1km after the town ,take the R600 road to the right . indicating Spion Kop Lodge /Spioenkop Dam / Ladysmith . The Lodge is about 16 km on the R 600 just after the dam turn-off on the right hand side. 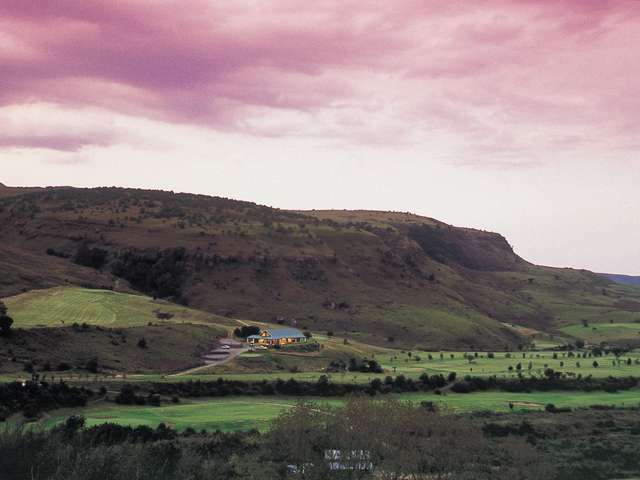 Take the N3 to Durban.Go through the Tugela Plaza (at the bottom of Van Reenen's Pass ) Approx. 12 km there is an off-ramp to Bergville on the left. Take it . At the top of the ramp TAKE THE LEFT TOWARDS LADYSMITH. (not Bergville.) About 7 Km.along this road is the R 600.to the right . Spion Kop Lodge / SpionKop Dam . Travel for about 19 km and we are on the left hand -side ,enter the two whit walls.